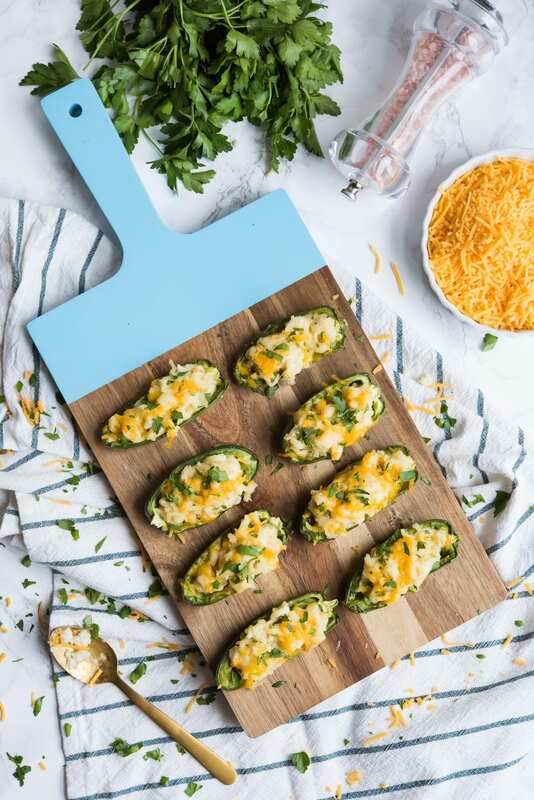 I’ve never been a huge fan of traditional jalapeño poppers. You know the kind. 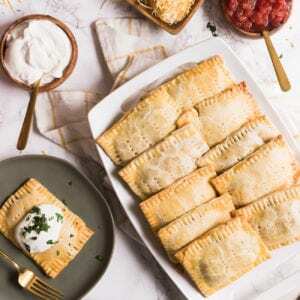 They’re usually stuffed with cream cheese, sometimes they’re breaded, and in any case they’ve always just been a little meh for my palate. 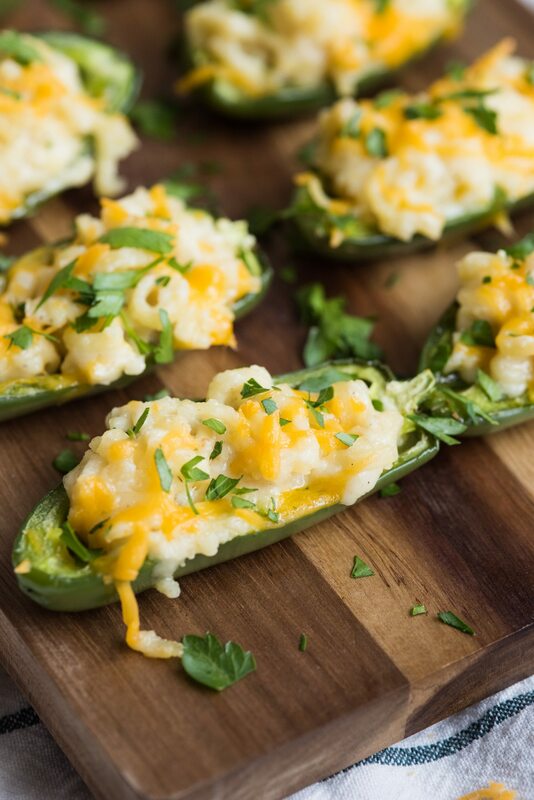 The exception to that is our buddy James’s homemade poppers! Now those are delicious. What’s even more delicious? 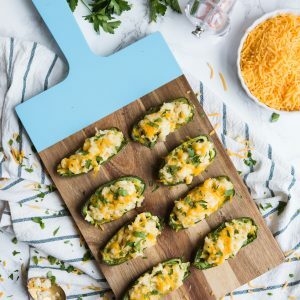 Mac and cheese stuffed jalapeño poppers! 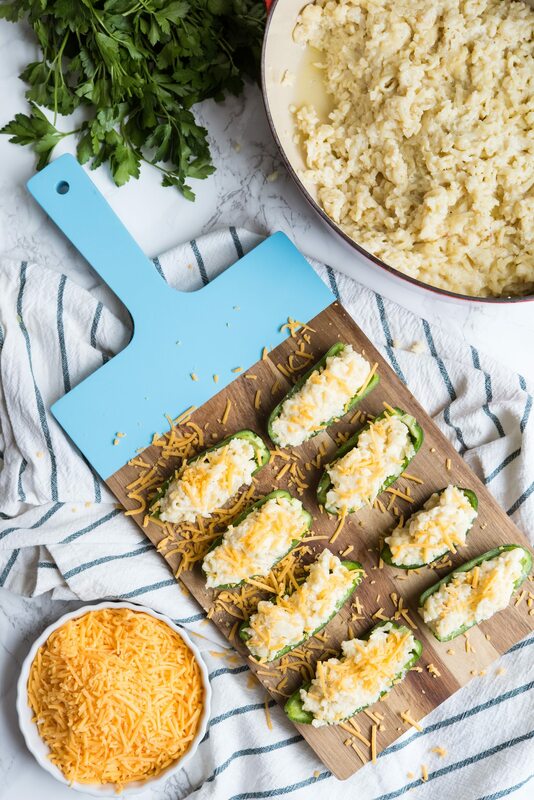 They’re basically exactly what they sound like – jalapeño peppers stuffed with homemade mac and cheese and baked until golden around the edges. I like to sprinkle them with chives or parsley when they’re done, but cilantro would also be great if you’re a cilantro kind of person! (Does anyone else find it fascinating how polarizing cilantro is? Ha!) 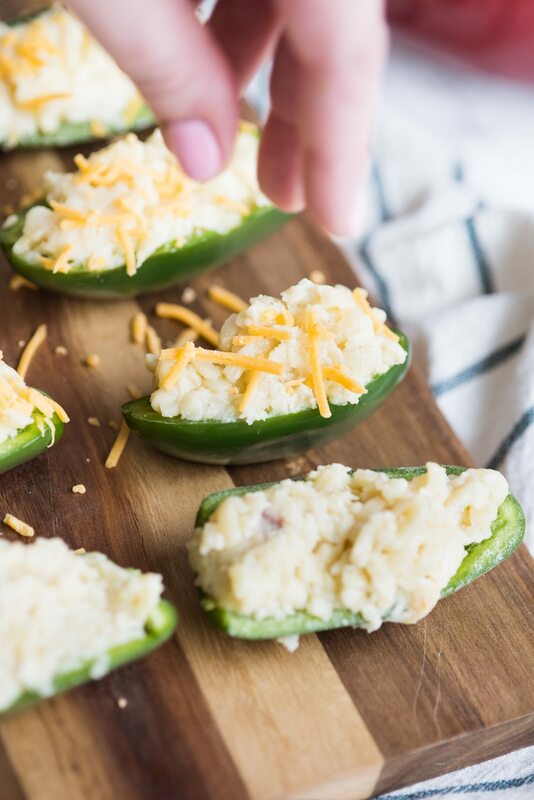 In my book of “sure bet crowd-pleasing not to be missed” appetizers, this poppers certainly rank right up there at the top of the list! They’re basically the very best kind of comfort food of all. Now technically, you could use something other than homemade mac and cheese. You could hit the grocery store deli for some or you could use leftovers from the night before out of the fridge. I’m pretty sure I’d skip anything out of a box, but you can steer your own ship on this one! 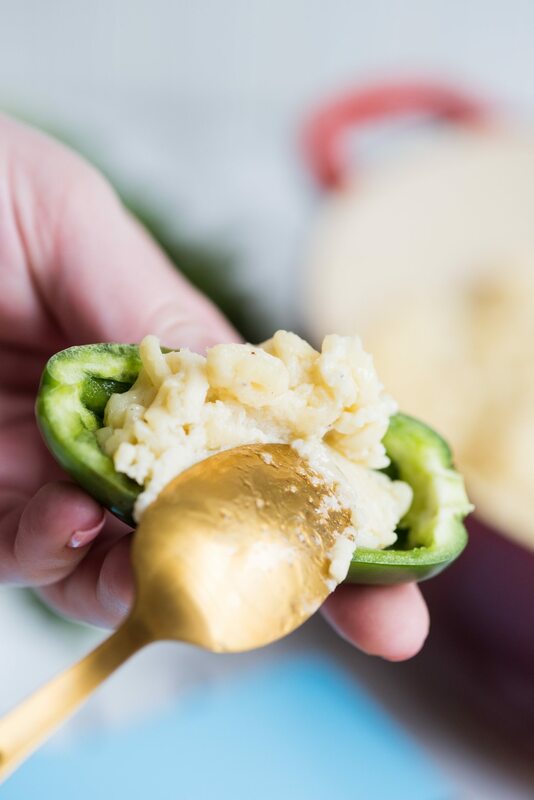 Luckily, the mac and cheese here is crazy simple to make right in a slow cooker or Crockpot, no roux required! 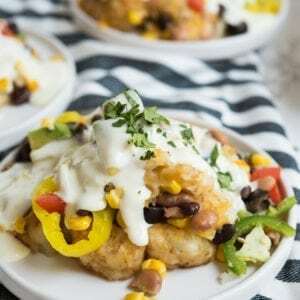 I swear it’s nearly as easy to make as the boxed kind, it tastes way better and any leftovers after you stuff the peppers will certainly not go to waste. 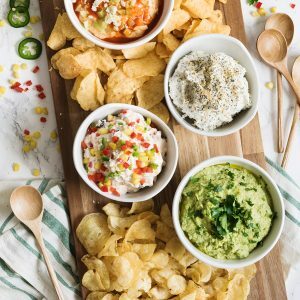 Serve these up alongside ice cold cervezas or frosty margaritas on the back patio and you’ve got the ultimate happy hour gathering in the making! 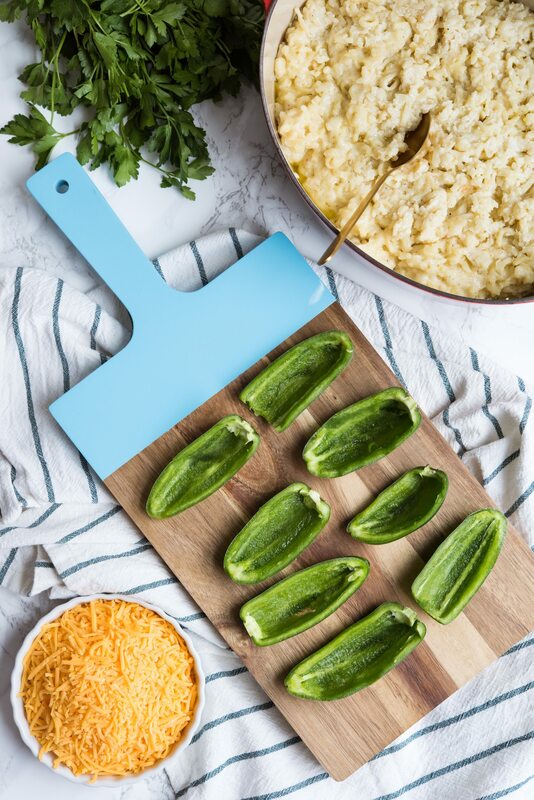 Cut jalapeños in half lengthwise, then deseed and devein. Cook elbow macaroni in salted boiling water for 4 minutes, then remove and drain. Transfer elbow macaroni to a slow cooker, add butter, sharp cheddar cheese, heavy cream, salt, and pepper. Mix just to combine, then cook on low heat for 2 hours. 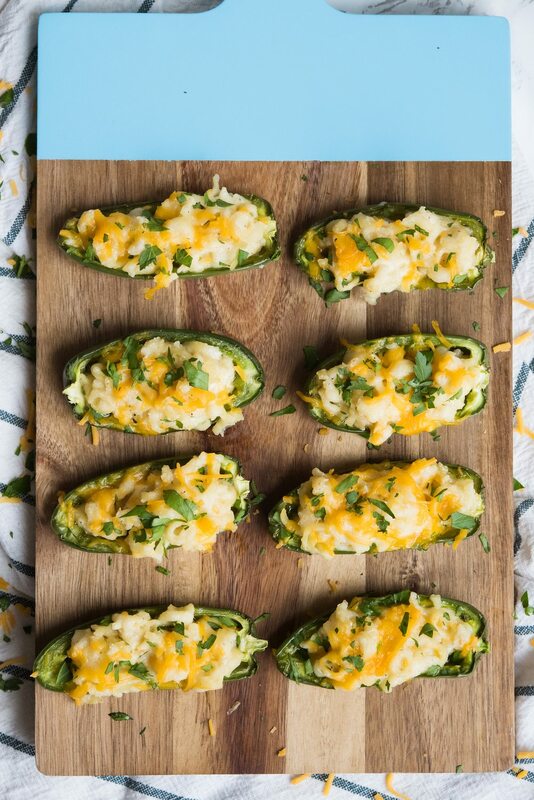 In the meantime, par bake the jalapeños on a parchment-lined baking sheet at 350 for 15 minutes until slightly softened. 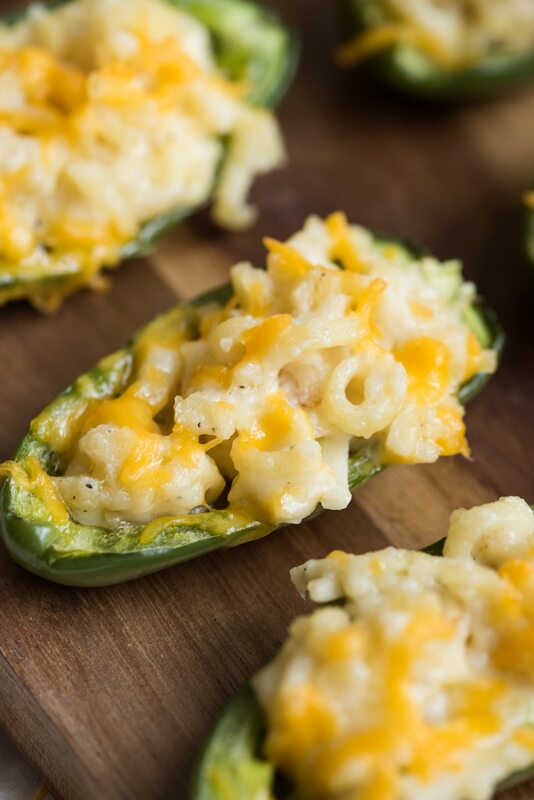 Stuff jalapeños with mac and cheese, sprinkled with reserved cheddar cheese, place baking sheet and bake for an additional 15 - 18 minutes or until mac and cheese is slightly golden and peppers are cooked through. Remove from the oven, transfer to a serving tray then top with diced chives and serve warm.